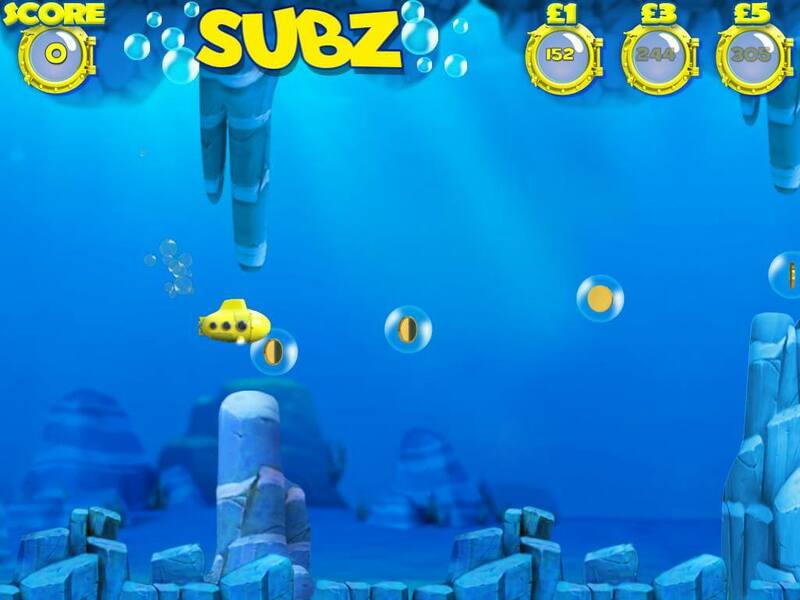 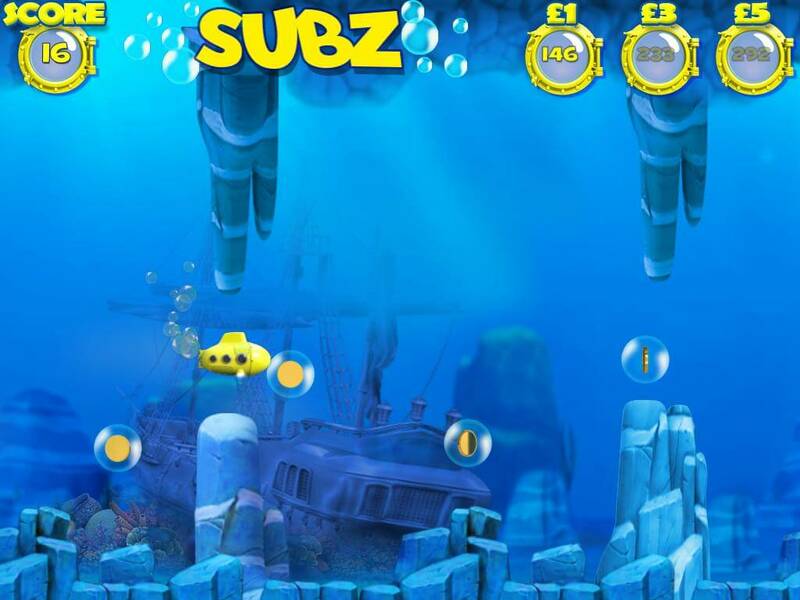 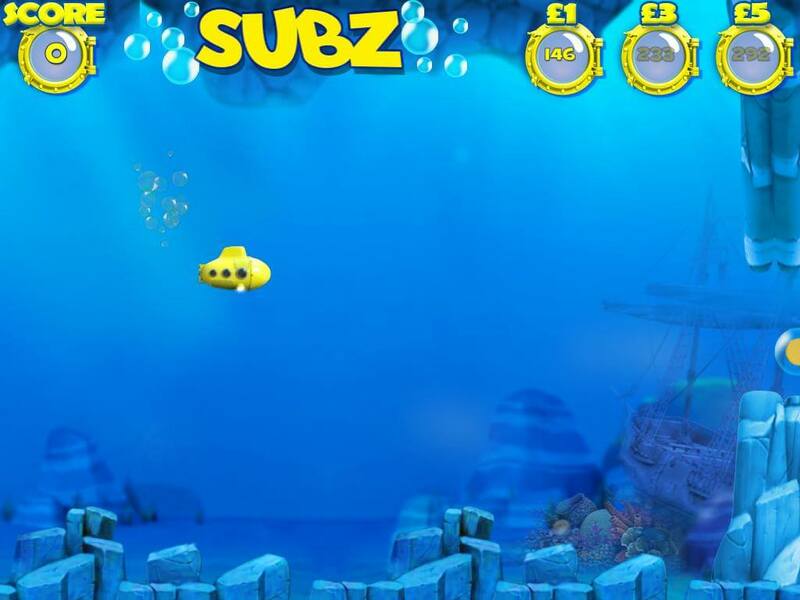 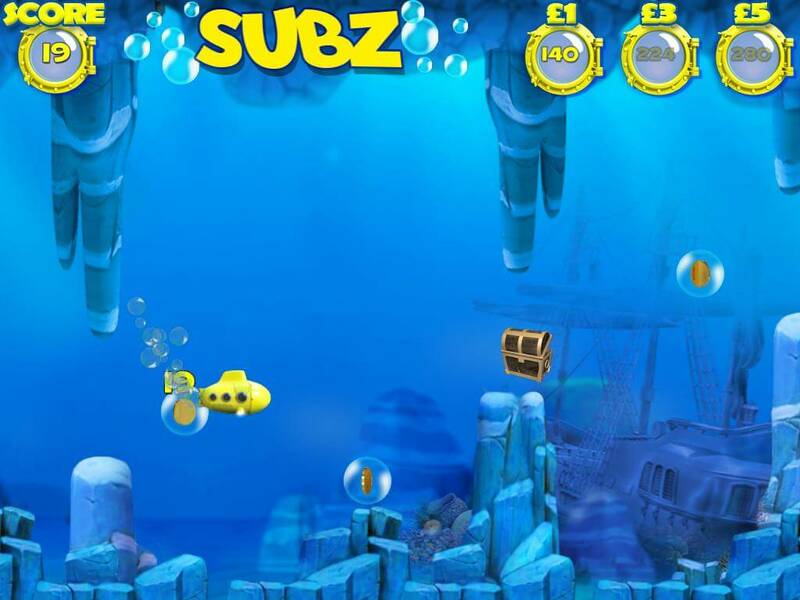 Navigate your Yellow Sub through the perilous rocks, collecting the coins as your go. 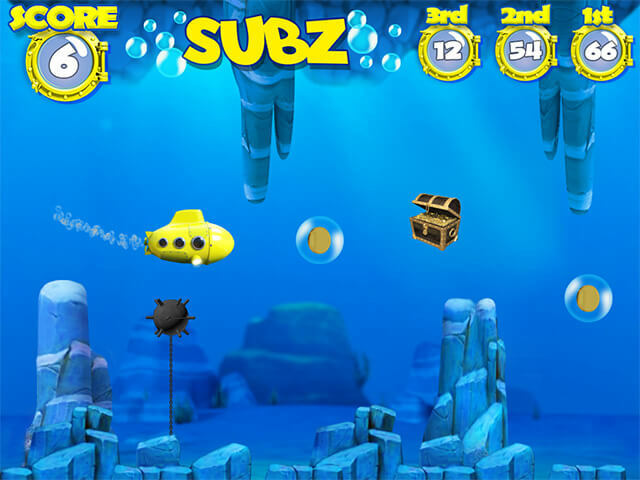 The more coins the better the prize. 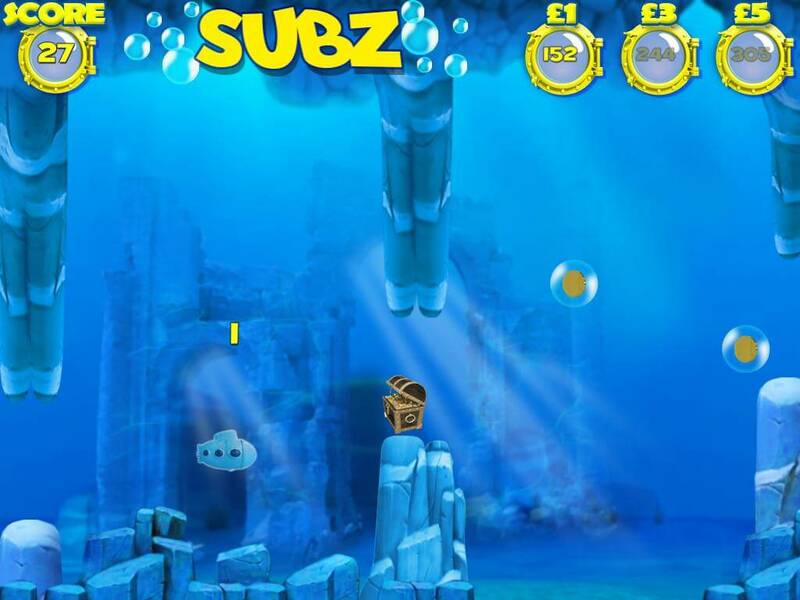 Avoid the mine as they’ll end your underwater adventure.